Dub Pistols head up to Lincolnshire this Friday to headline the stunning Equinox Festival. Equinox Festival – A gathering of the tribes. Performance, art, interaction and education for all. Set inside a hill, in the breathtaking Lincolnshire Wolds. 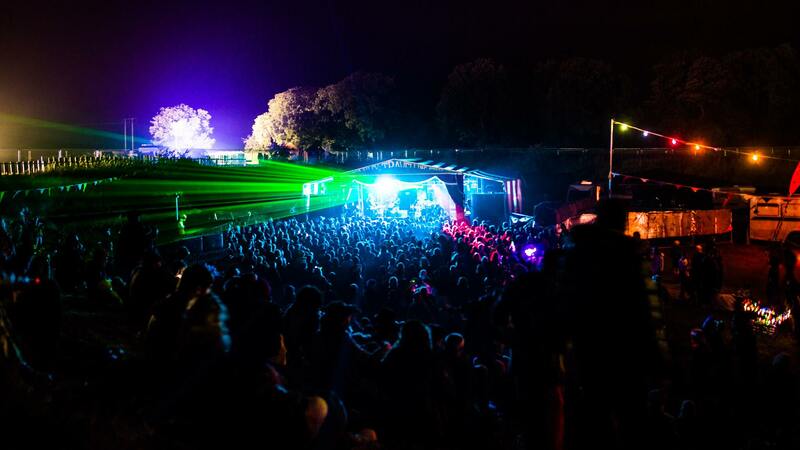 Six stages representing all musical tastes, incredible lightshows, family area, fireshows, workshops. For the people not for profit. 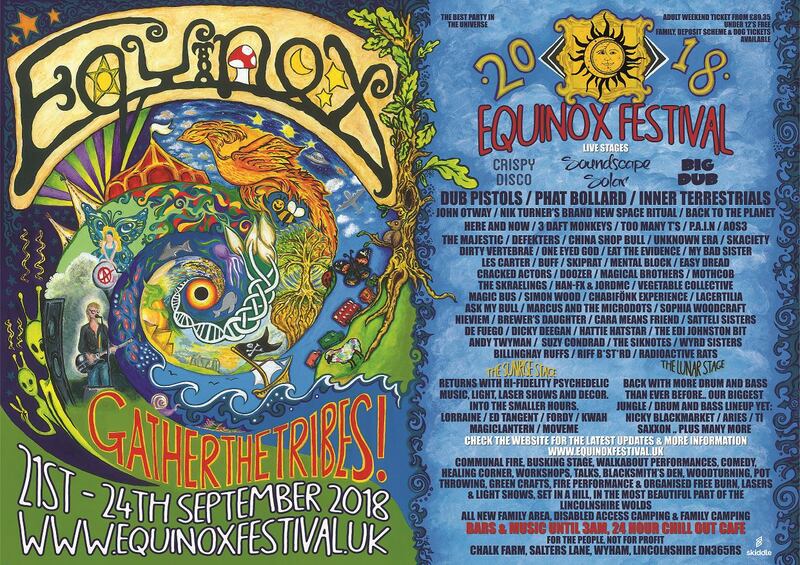 Brought to you by the old Alchemy crew….the workers now run the show and are taking it into their third year with their own festival Equinox. For the people, not for profit. We united to continue with what we all believe is a beautiful thing – Where else do all the tribes come together and celebrate? Didn’t we put on the best party in the universe?! 2016/2017 has shown everyone just what we can do and we plan on doing it all again, even better. So who’s up for another one?!? There’ll be over one a hundred bands and DJs again on our six stages, including our two dance tents – Sunrise and Lunar, with their crazy decor and stage shows to match. Our solar powered Soundscape stage, The Crispy Disco stage – dedicated to one of the original members of the tribe – Crispian Baker, The Busk Stop and much more! Line-up to be announced, but as ever, we’ll have something for everyone. Fire shows created by a pyromaniac genius, workshops and heritage crafts the like of which many of you will never have seen before, healing area, our fire pit and our all new Children’s Area for 2018, co-hosted by Gypsy Pysky & Foolhardy Circus will keep the little ones entertained. Food and drink? Still bring your own if you want, but our traders will be tempting you with a great selection of food at affordable prices for meat eaters and vegan alike and anything from real ale or a cheeky cocktail or a smoothie to perk you up from that night before, to handmade crafts collected worldwide and glow sticks and ridiculousness too tempting to walk by. So come join us, show your support for the festival that just won’t stop and the collective tribe that you are part of each September. Medieval Chemistry Ltd is a not for profit, social enterprise and its main aim is to organise community based events- this started with an event in September 2016 with the same energy and vibe that Alchemy was famous for. Equinox Festival was born. The company works in partnership with the local authority and local community to ensure well managed, safe and enjoyable events in Lincolnshire involving local businesses and people. ● To provide access to training, new skills, work experience opportunities and an artistic platform not readily available on the high street to a wide range of people. ● To positively unite and integrate people in comfortable surroundings through music, art and conversation. ● To provide a wide variety of support to the community and local businesses. ● To introduce and promote up and coming artists and musicians, especially locally!